Another great giveaway…thanks for the opportunity! Thanks so much for the giveaways! I couldn’t afford to get one of the grab bags, even when they were on sale…this would be a nice little gift! Love Burt’s bees, thanks for the giveaway!! Love the burts bees collection!! This would be a really nice treat for winter skin, thanks for the opportunity! Love’s Burt’s Bees! Thank you! Like TT on Facebook too! 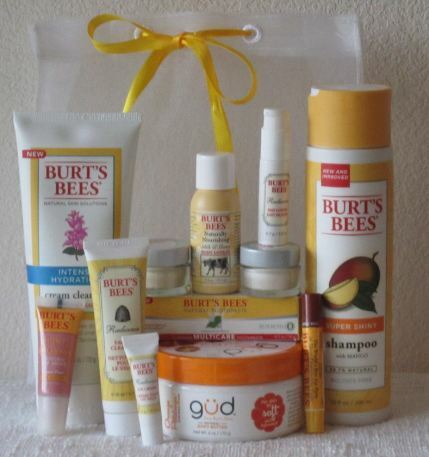 Love Burts Bees and would love to win this prize pack! I never win anything! Please please, pick me, pick me! Burt’s Bees is the best! AWESOME I love this stuff! Thank you once again for the giveaway! My wife would love this! Thanks for the opportunity. Oh that would be such a fun gift to detox from Christmas! Thanks for so many great giveaways! would love to win, love burt’s bees! Just started reading this blog, it looks great so far. Thank you for the opportunity! I love Burt’s Bees! I love burt’s bees products! What a great prize package. Love Burt’s!!! I would love to win some Burt’s bees! !